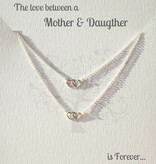 Two sterling silver Double heart charm necklaces from Kaya's 'Jewellery Card' collection. 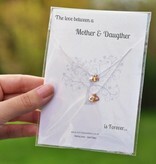 Symbolic greeting card with 2 delicate silver joint hearts, one necklace for Mum and one for her daughter. 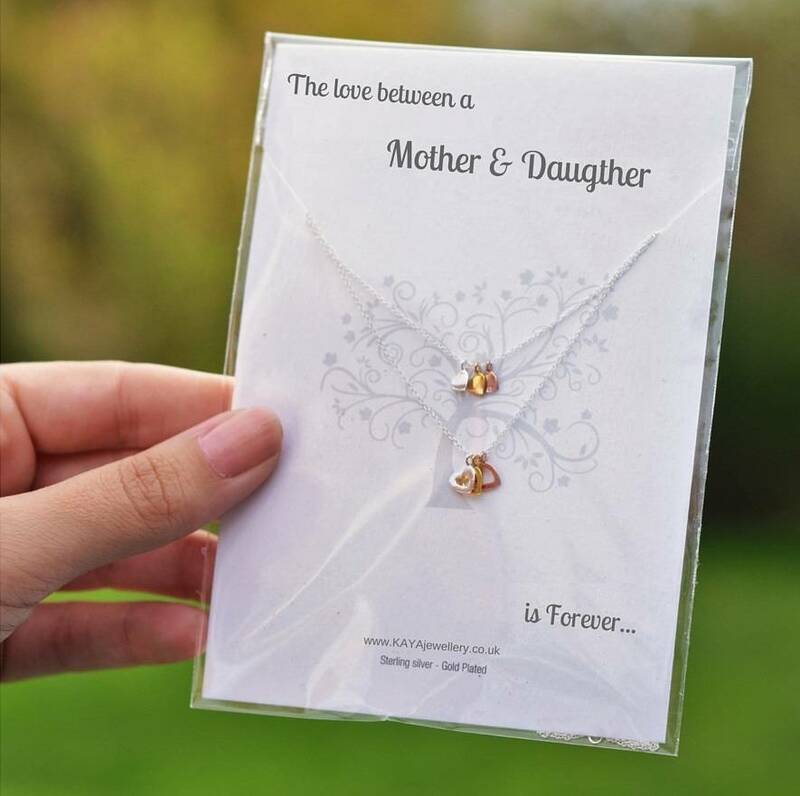 The card says: 'The love between mother and daughter is forever'.